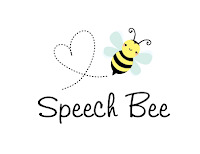 In my last post I was lamenting my two and a half month wait before starting a new job. But today, my wait is over! 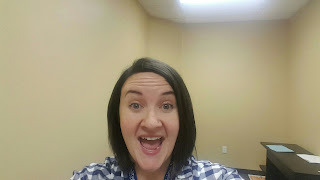 I started my job last week, and it has been a crazy ride! 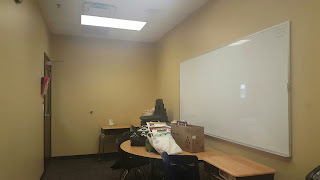 My room was switched during the summer so I showed up to a larger room (score!) 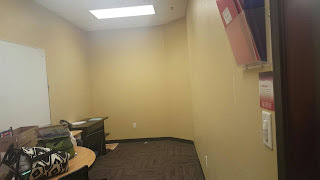 that had no cabinets or bookshelves (booo) and completely barren walls. 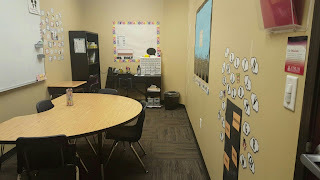 Despite meetings on top of meetings on top of more meetings, I managed to have my room organized and decorated within two days for Back to School Night. I'm super excited to reveal it here today. There are still little things to finish up but it's about 85% complete, and I'm loving having my own tiny little space. 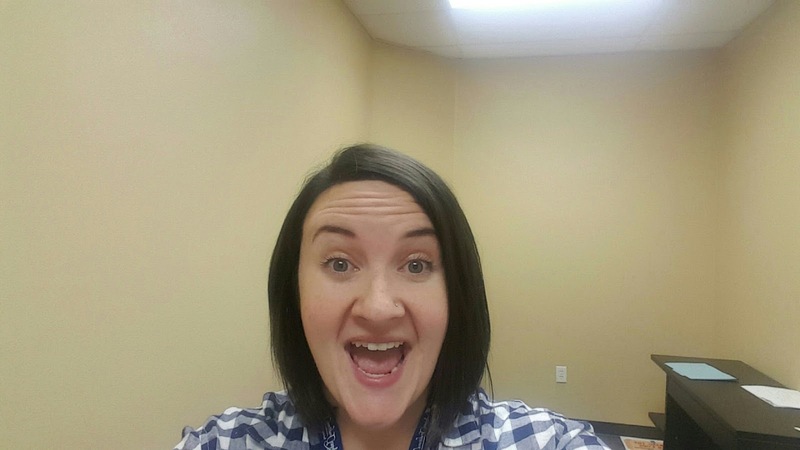 My mom made me take a selfie on my first day. This is the face of someone ready to decorate!! Let's check out the room! I have a desk!! 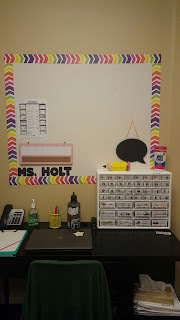 I'm still waiting on some papers to hang on my bulletin board, but I am loving that border from the Dollar Spot at Target! 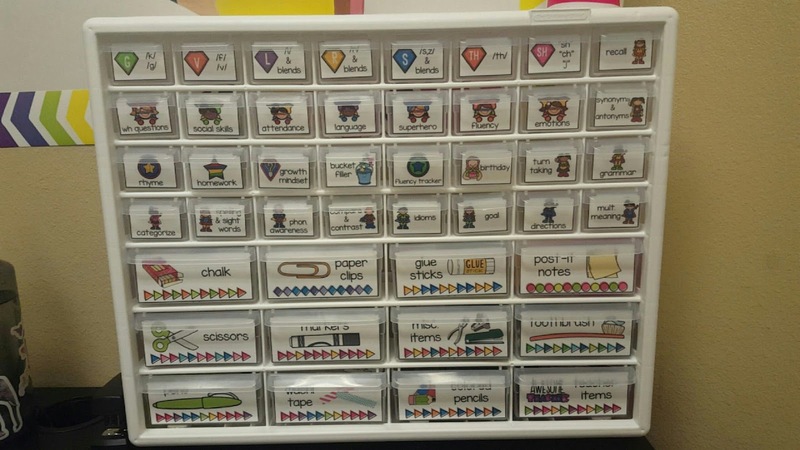 I also get to display my teacher toolbox full of brag tags and supplies--I love it!! 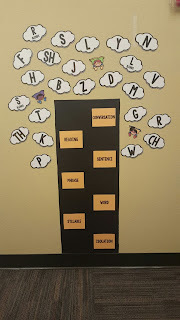 I made and hung these adorable superhero themed articulation targets. It's based on various articulation trees I've seen around Pinterest. 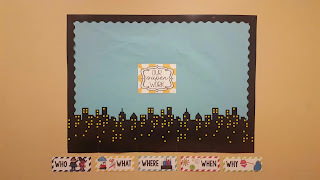 The clouds are artic targets my students will be focusing on, and the building windows label artic level targets (isolation, syllable, word, phrase, sentence, reading, and conversation). I can't wait to post my student's "super work" up on this board. 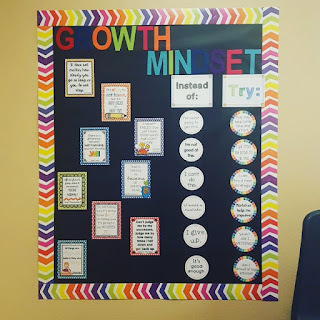 And finally, the board I'm most excited about--my Growth Mindset board! I made 9 different posters with motivational quotes to encourage my students growth mindset. I printed two per page so I could fit them in my small space. But I love these Instead of/Try circles. 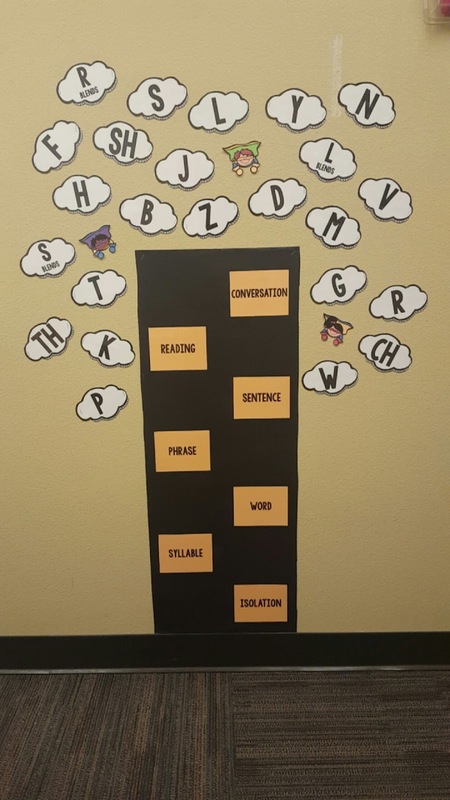 They give students the language to change their thinking. 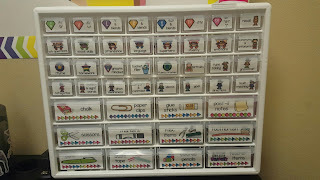 If they get stuck, or want to give up, the rainbow circles help them change their self-talk and in turn, their mindset. 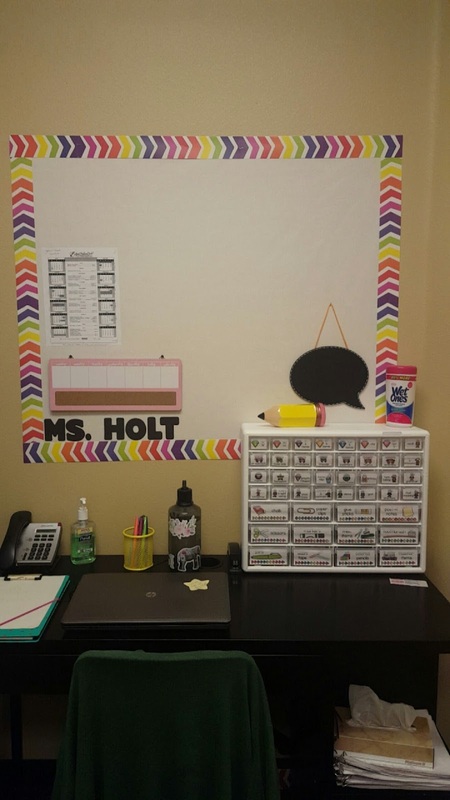 The beginning of the school year in an elementary school sped department is hectic and stressful, but I'm glad I got to spend 2.5 months doing classroom decor preparation. Being able to end my crazy days in my own, adorable space is such a blessing right now! 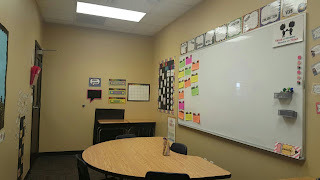 I would love to see your speech room space! 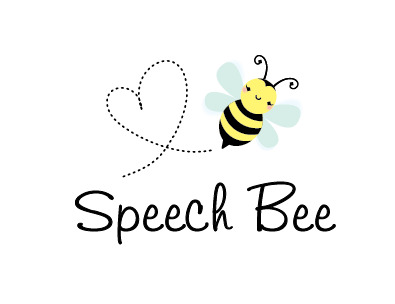 If you post it on instagram tag @speechbeeontpt or hashtag is with #speechroomroundup!